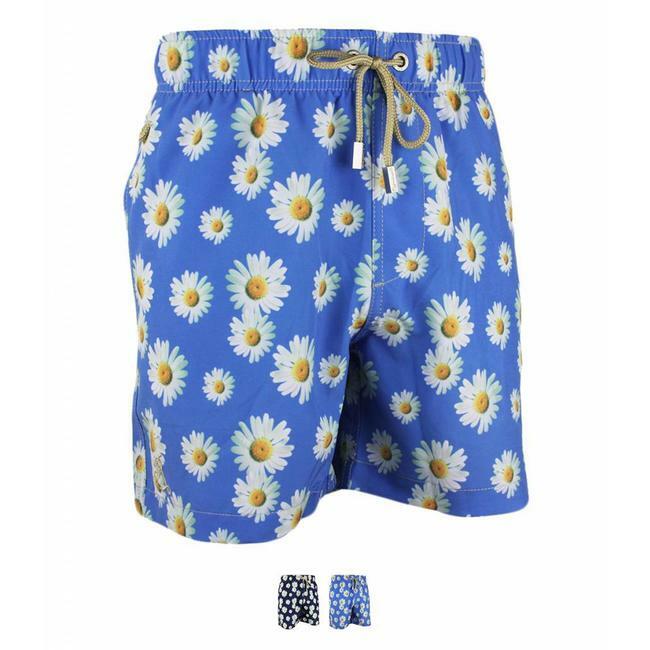 Ambon Swim Shorts made of 2/way stretch fabric with floral print. Read more..
Ramatuelle Swim Shorts Ambon is made in a 2-way stretch fabric to provide the ultimate comfort. Classic fit with elastic and cord in the waistband. It has an inner mesh brief. Style Ambon has all the Ramatuelle details! Available in 2 beautiful shades of blue. Sizes range fom S to 3XL. Childrens sizes available to make a great father-son team! Ambon Swim Shorts made of 2/way stretch fabric with floral p..